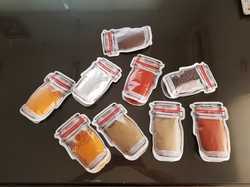 Our range of products include bottle shaped pouches, bottle shaped pouches with zipper, shaped spout pouches with zipper and jar shaped pouches with zipper. Swisspack India manufactures custom shaped flexible pouches with upto 9 colors of printing. The structure of the material depends upon requirement. We make packaging material with foil, Met PET, window or any custom material is possible. We manufacture custom shaped pouches for packing various sizes – from small sachets to big Bulk packaging sizes for pet food. The shape of pouches can be anything like – example: fruits like: Bananas, Strawberry, Apple, Pineapple, Orange or any other product like a pencil, cartoon shape etc. Our custom shaped pouches can be designed to stand up or flat as a three side seal pouch – whatever shapes packages suitable to make your products best and attractive. Depending on your product’s shapes and requirements. 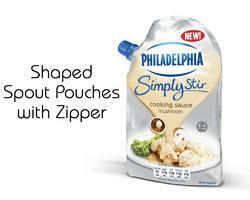 Custom shaped pouches allow you to stand different from the crowded market. Due to the good presentation of custom shaped pouches, we can increase our sales from 3 to 5 times. This shape gives you the advantage to promote your brand to stand nicely on the shelf. If you are not sure which types of a shaped pouch to choose for your products then please call our sales our experts will help you to find the custom shape that works excellent with your brand and product. We are offering Bottle Shaped Pouches With Zipper to our clients. We are offering Shaped Spout Pouches With Zipper to our clients. 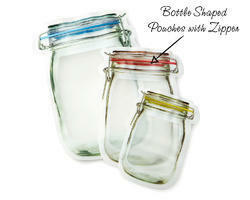 We can also do custom printed jar shaped pouches for you in your design. 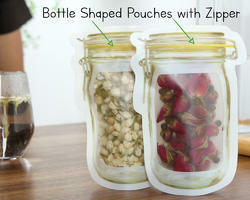 Jar shaped pouched are our Stock pouch and minimum quantity is 1000 pieces. It is available in size from 50 gram, 70 gram, 150 gram, 250 gram, 350 gram, 500 gram, 750 gram.